Dr. Faisal Lalani is a double board certified physician who specializes in pain medicine. Dr. Lalani started his postgraduate medical education completing an internal medicine residency at NY Hospital. Having decided his true passion was treating pain, he went on to complete a residency in anesthesiology at the University of Southern California. During his residency at USC he specialized in regional anesthesia, critical care medicine and pain medicine. He was involved in research using ultrasound to treat and prevent the intra and postoperative pain. Dr. Lalani firmly believes that ultrasound is one of the most underutilized modalities to help treat pain precisely without using radiation. Subsequently, Dr. Lalani completed a fellowship in Interventional Pain management at the world-renowned Cedars-Sinai Medical Center. He has continued to work with the Cedar-Sinai Medical Center where is a faculty member who teaches interventional pain medicine to fellows and residents. 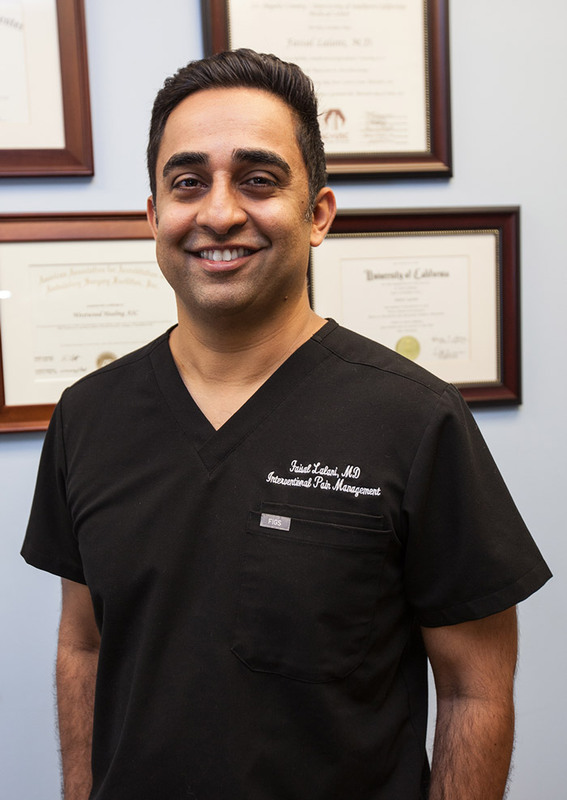 Dr. Lalani loves to listen and to connect to his patients. He loves his work and is considered by his peers and patients as a compassionate and caring physician with an excellent bedside manner. Dr. Lalani strives to continue learning and offering the newest therapies to his patients. On his free time Dr. Lalani enjoys scuba diving, traveling and hiking. 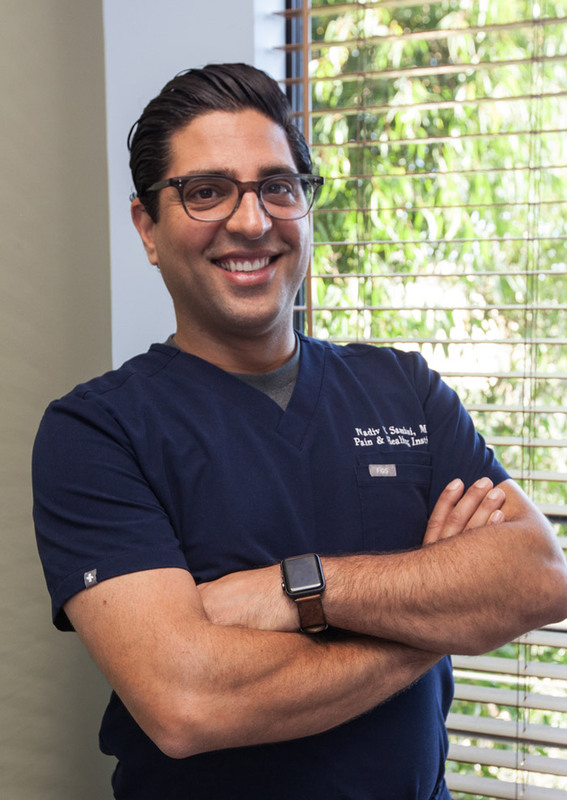 With nearly a decade of experience and thousands of patients successfully treated, Dr. Lalani’s unique background in psychopharmacology, anesthesiology, and Internal Medicine gives him the skills and knowledge to safely and effectively treat pain. California Society of Interventional Pain Physicians. Dr. Nadiv Y Samimi is a board certified physician who specializes in pain medicine. He grew up in Los Angeles, obtained his undergraduate degree at the University of California, Berkeley. He came back to Southern California to complete his residency at the University of Southern California. He chose to complete his residency in a place where he knew he could get the maximum exposure to a diverse population and wide range of pathology. Having been a chief resident, he went on to complete his training at the renowned Cedars-Sinai Hospital. Having known for a long time he wanted to help people in pain, he chose to first specialize in anesthesiology, knowing he would get a thorough training in many of the procedures and medications that are commonly used for pain. He believes that to treat people in chronic pain, a doctor first needs to understand and treat pain when it starts. Throughout his career, Dr. Samimi has believed that to successfully treat pain, it is imperative to understand what the patient is experiencing and to listen to what they have to say. Any successful healing relationship is built on listening and trust between the doctor and patient. Dr. Samimi believes that chronic pain very often has a solution and one of Dr.Samimi’s favorite exercises with patients is brining in models to help teach and explain the patients conditions and treatment options. Including the most up to date and advanced treatments. While not treating pain and healing, Dr. Samimi enjoys painting, mountain biking and traveling. Medical School – Drexel University School of Medicine, M.D.